Sorry I have been away friends but Matt’s whole family has been in town for a week and I have been too busy having fun! LOL! So over the next few days I will share with you all the highlights of the week! Starting with yesterday all of us “kids” decided to be daring and go White Water Rafting! Now… like 15 years ago in High School I went rafting every Summer with my youth group but with that being so long ago I was pretty anxious about getting back in the water! This is my “I have arrived face and I am wearing cool water shoes”!!! haha! My Brother-in-law Michael set this all up for us since one of his childhood friends is a guide here! 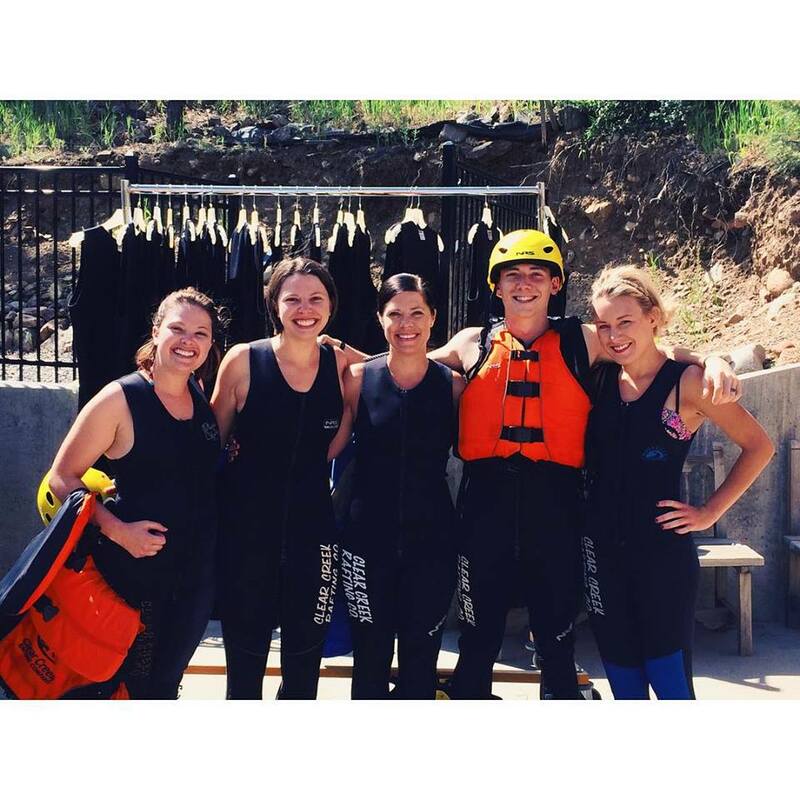 We rafted out of Idaho Springs, CO! Here we are suited up and ready to go! The rest of the pictures are the ones the rafting company shoot for us and they turned out great! We took the 1/3 day trip and we wished we had booked the 1/2 day we had SO MUCH FUN! I mean look at our faces!